I was completing a Founder’s Call with one of our new Approved Investors recently and they asked a great question I have been meaning to share with our entire community for some time now. In this article, I’ll answer that question and highlight some key considerations you need to keep in mind for each investment source. Before anyone can invest with 37th Parallel Properties we need to establish that the investor is suitable for investments of this type and that the investor has satisfactorily determined that we are a fit for their investment needs. In other words, are we a match? Once we establish that match we can begin to discuss the funding options below. Cash is any money you have sitting in paper currency in a safe, safe deposit box, savings account, CD, publicly listed stocks & mutual funds, etc., not held in any qualified account (to be discussed below). Even though commercial multifamily real estate is a very stable asset class (with foreclosure rates in our markets below 1%), you should still only be using investment capital. Cash reserves need to stay in a liquid bank/insurance vehicle. One of the largest advantages of using cash is the tax benefit. Commercial multifamily projects generate a paper loss called “depreciation.” This is not a reduction in value of the asset but rather a tax deduction to help offset the wear and tear of real property. If structured correctly, this paper loss can help offset and in many cases eliminate the taxable income generated by the property in the first 3-7 years. 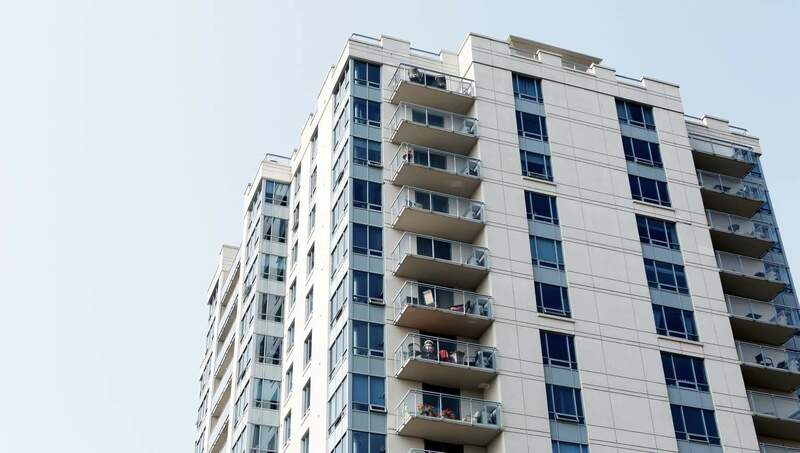 When you include tax free refinance events and 1031 exchanges to defer capital gains tax, cash and cash equivalents are a very attractive investment source for commercial multifamily investing. I include trusts as a separate area because I get several questions on them each month. In general, trusts are estate tax management tools and can invest in commercial multifamily real estate as if it were a cash investment. The primary nuance is that the investor is the trust name and the signatory is the trustee. There are dozens of different trust types (revocable/irrevocable), (living/testamentary), etc. So, please work with your qualified tax and estate professional. In our experience however, almost every trust type has been able to invest with us. Qualified accounts are generally any government approved retirement savings account that will have some degree of IRS protection or special consideration. Self-Directed qualified accounts are investment sources where you can keep the tax advantages of the qualified plan but invest in almost any asset. Note, you may see brokerage and investment management firms (e.g., Fidelity, Vanquard, UBS, etc.) offering self-directed IRAs and their related plans, but in general they are not fully self-directed. In almost every case a brokerage self-directed account means that you can invest in anything that they offer or list. Most if not all of these accounts will not let you invest directly in real estate or other hard assets. On the other hand true self-directed custodians like Provident Trust and IRA Services (two firms that our investors have used and performed well) allow you to invest in commercial multifamily real estate and several other assets not available in brokerage self-directed scenarios. You have to keep in mind that investments from qualified accounts do not receive the paper loss from depreciation. The IRS has ruled that since these investments are already tax-advantaged, additional benefit/incentive is no longer warranted. Ultimately though, the ability to invest in stable multiple benefit source (income, appreciation, principal paydown) real estate with pre-tax dollars and tax free growth is very attractive for most investors. And an even better solution is the Roth IRA. While the investment into the Roth is post-tax dollars, all gain and all future withdrawals are tax-free. For long-term stable-growth income-producing real estate this is an excellent vehicle to basically pre-pay taxes initially and then enjoy tax-free income and equity growth for the rest of your life. There are so few scenarios where a Roth is not a tremendously useful vehicle for commercial real estate investors that it’s something we always look to help our clients take advantage of. While not a common tool amongst our investors, those that have decided to do this have been happy with the results. As you would assume, you would simply take out a home equity loan or line of credit and use the proceeds to invest in commercial multifamily investments. If you can borrow at ~3% and expect to get yield of 6% or more along with equity growth, it can be a very advantageous play. You keep the tax advantages of investing with cash and depending on your income and the amount of your loan you can also deduct the interest on your equity line. This will improve your returns even more. In most instances you have the ability to take a loan from your company sponsored 401k plan. Typically this is a 5-year amortizing loan with a rate about 300 to 400 basis points over the 10-year note (e.g., 6% or so today). You can get a loan of up to $50,000 or 50% of your account balance, whichever is lower. The benefit of this process is that you can convert up to $50,000 in qualified tax-deferred money into cash. If you have the excess income each month to pay the 401k loan back then you get the 6% interest paid back to yourself, $50,000 in a commercial multifamily asset earning income and equity growth and in cash. So you have the best tax-advantages. It’s an under-utilized strategy, but one worth considering under the right circumstances. This is a process that doesn’t necessarily make sense to implement unless you already have the whole life policy setup and funded (This can take up to 5 years). But if you do, taking a loan from your whole life policy to invest in commercial real estate can provide you an excellent return accelerator out of an otherwise untapped asset. You interest on the loan all goes to your benefit and you continue to receive the return on your whole investment since it’s backed by the life insurance policy. Sometimes it can be a LOOOONG time before you see any benefit from that raw land. We have several clients that either purchased or inherited raw land and gone more than 20 years without seeing any return at all. In fact unless they leased it out to farmers, they had a 20-year losing investment due to property taxes. If your land is in the path of growth or already appreciated then now may be the time to lock in those gains and purchase assets that provide you income today and growth down the road. If your land is sitting stagnant with little to no prospect of appreciation, how long do you want to wait? This is one of the most common lazy assets we see especially in the high valuation markets like California, DC, and New York. Investors in these markets tend to cut their investing teeth based on the appreciation model. This is where you buy an income property for future profit at resale and hope to recoup some or all of your holding costs through net income. This process is profitable but only 1/3 of time. In down markets you lose your shirt and in flat markets the income doesn’t cover all the rents and your get bled year after year waiting for the market to come back. If you purchase and manage residential income property for a living, this can be a profitable business. If, however you are looking for a passive investment, commercial multifamily is a lot more passive (as in completely) with the same or better returns. While less common than in residential, we still see several situations a year where someone owns commercial real estate with ROE (Return on Equity) in the 1% to 2% range. They still have it because they were previously unsure about other alternatives to put there money with the same tax advantages, but I can tell you from direct experience that multifamily if done right will spin off more stable income than most any other retail or office investments. The final three investment sources could easily belong in a few of the sections above. Because they are uniquely different though and we’ve had some direct experience with each, I discuss them briefly below. We had a client in California that wanted to invest for their daughters retirement via a special needs trust, which provided state and federal tax advantages for the assets held in trust. While this falls under the living and revocable trust laws it was different enough that we consulted with an estate attorney to validate that is was a viable investment source and are moving forward with that investor so that they can help secure equity and income growth for their daughter with special needs. Few if any 401k custodians advertise this possibility and some will downright stonewall you if you ask but in-service non-hardship rollovers from your 401k are possible. It’s a great way to get the investment flexibility you want out of a plan model that likely has very few good choices. There are a decent number of conditions around it and don’t expect your HR department to love you for this, but if you want to take control of your 401k than this is an excellent path. We find this primarily working with small doctor and attorney groups across the country. Instead of having a 401k custodial company run their defined contribution plan, they will setup their own defined contribution and/or defined benefit plan to reduce costs, provide for greater tax advantaged deposits and greater investment control. They require more administrative work by the company, but allowing those plans to invest in stable multifamily commercial real estate can be an excellent option for the pool of investor members. If you already hold like kind real estate real estate (e.g., office, retail, hospitality, storage, etc.) you can sell the property and transfer the proceeds (principal and gain) into a new asset and defer the capital gains tax. This is a tremendously powerful wealth acceleration tool and one of the unique features of commercial real estate investing. Imagine getting an extra 20% or more on all of your investment going forward.